Photo: Parson Thorne Mansion, ca. 1730, 401 N.W. Front Street, Milford, DE. Listed on the National Register of Historic Places in 1971. Photographed by user: Smallbones (own work), 2013, [cc-by-3.0 (creativecommons.org/licenses/by/3.0)], via Wikimedia Commons, accessed October, 2014. The Mispillion River forms part of the boundary separating Kent and Sussex Counties, dividing the City. Milford straddles the River with the northern part lying in Kent County and the southern part lying in Sussex County. 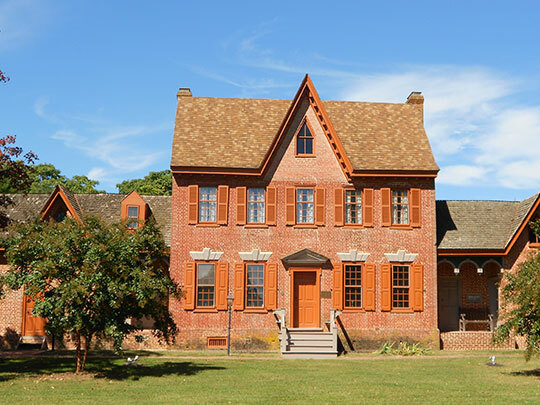 See Milford City, Sussex County for history and additional information.